Michele Antoine, director of exhibitions of the Universcience France, began a talk in this way and presented the museum as a privileged place to nurture curious minds. A simple statement that means, however, a change in mentality with respect to the traditional ways of thinking about education in museums. 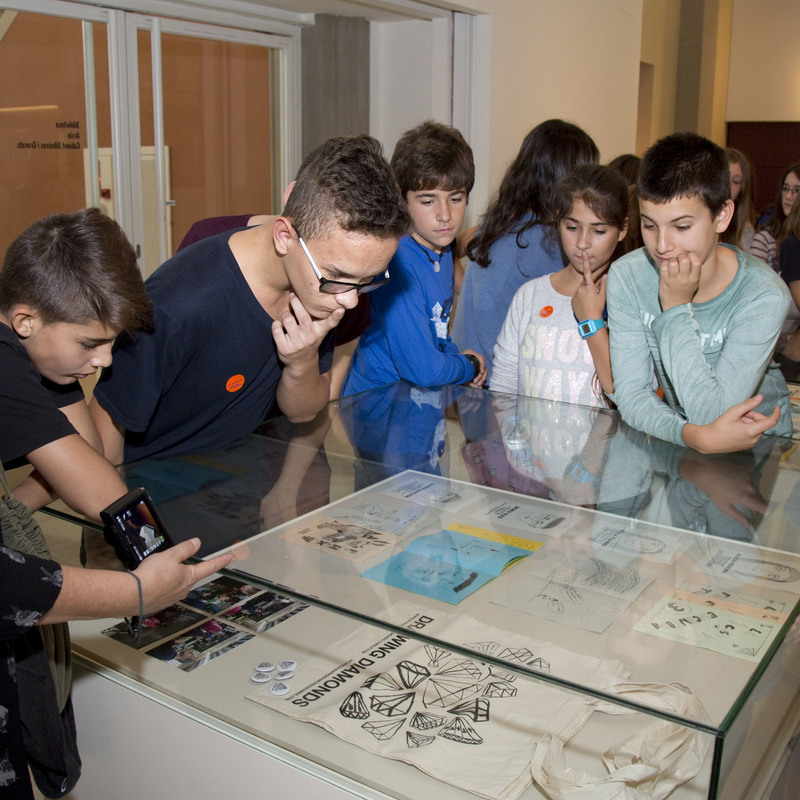 Are you one of those who think that the educational action of the museum is basically aimed at the school of family audience? Do you think that education is only a task of the department that takes this name or, on the contrary, are you capable of identifying your educational space in the work you carry out each day? Let’s continue asking ourselves questions: have you ever asked yourselves how we learn? Or how that educator or teacher of the museum did, so that today you still remember what they taught you? Almost two centuries later, the North American psychiatrist William Glasser carried out a series of studies that allowed him to explain the relation between the procedure used to teach and the information retained by individuals. His conclusions are shown very clearly in the following infographic. Simplifying a lot, we can extract the idea that people learn more when we interact with others, and even more when we do so as teachers. As learners, do you feel identified? And if you are educators, where do you classify your educational practices? 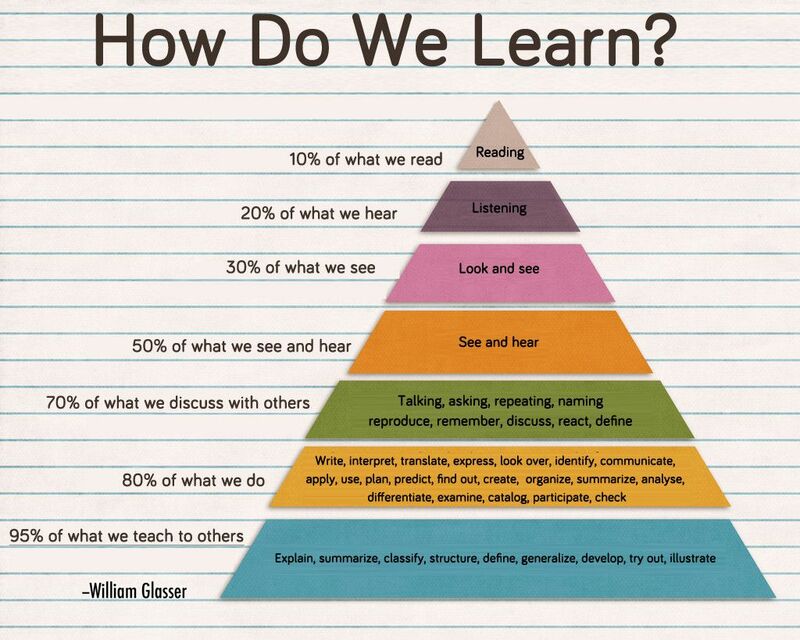 Even though this fortunately is changing, until recently, an important part of students’ learning is carried out by means of less effective channels, those which occupy the upper part of the pyramid. And the truth is that we can’t allow this to be so. We need quality education for all that trains us to live and to survive in this world of constant change, volatile and complex. An education that trains us in the autonomy of knowledge, providing us with the skills for taking advantage of the technological revolution and creating opportunities in a context of uncertainties. In Europe this renewal was triggered by Delors Report, in the nineties. These four aspects are defined around a series of basic skills, a combination of knowledge, skills and attitudes that people should know how to mobilise and apply so as to respond to situations and/or problems of everyday, academic and professional life. Nowadays, this approach is beginning to become a reality in the classrooms. To advance more quickly, the number of platforms has multiplied of educational entities that boost innovation and collaboration between centres, such as, for example, Escola Nova21, Xarxes per al canvi (Networks for Change) or the Fundació Jaume Bofill. The museum wants to be present and to participate in this change. An example of this will has been the Tandem Project, a jointly created project with an educational centre of the neighbourhood. Furthermore, the museum actively participates in some of the forums where discussions take place about education and museums, such as the Comunitat de Pràctica Museus i Escola (Community of Museum and School Practice), made up of professionals of museums and teachers, the working group Museums and accessibility and the Nou Consell d’Innovació Pedagògica (The New Council of Pedagogical Innovation) which has been promoted by the Municipal Institute of Education. Trailer of Tàndem Art a l’escola (Tandem Art at School) [1’54 min]. The whole video can be found in the links at the bottom. 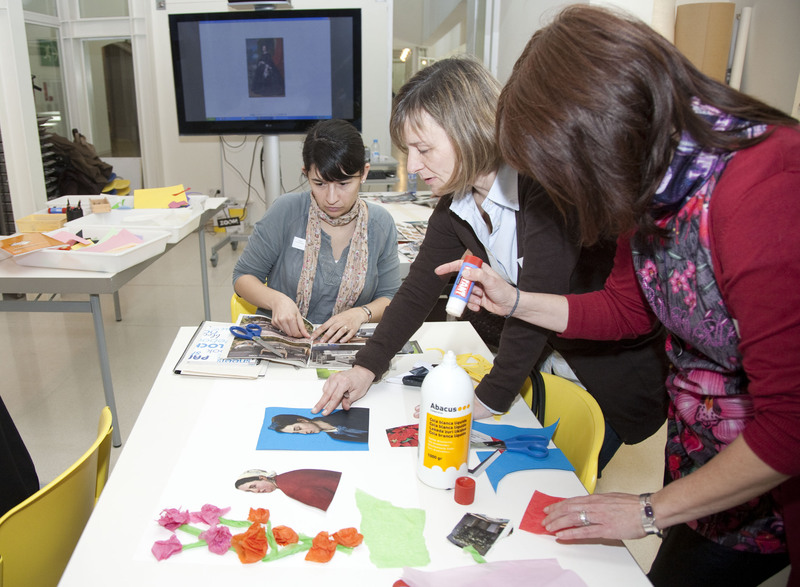 This new educational scenario proposes that the role of the educator is that of designer of the learning conditions and experiences. He or she is more a guide and a counsellor for the learning process, than a transmitter of information. The subject being learned is done so in an active, dialectic and integrating way. The selection of the contents should be as significant as possible and should enable the learner to obtain useful experiences for life. Our aspirations as educators should be closer to igniting the spark of curiosity and the questions that fill the minds as if they were recipients. 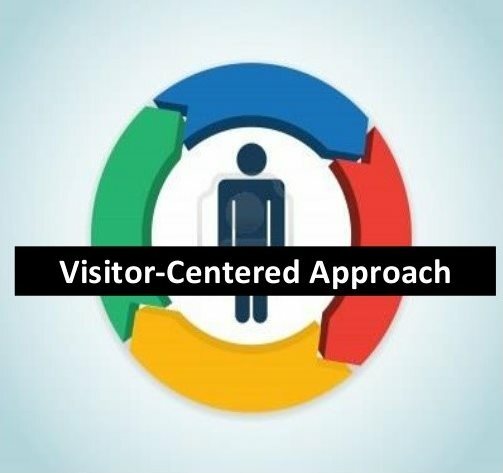 If in the context of formal education in the revolution carried out the student is situated at the centre of the learning process, so in the museum of the 21st century, the focus should be on the visitor. For museum professionals, orienting our educational action means being trained and being present in the forums of debate, evaluating and reflecting on our practices, breaking inertias and carrying out in-depth debates about what this educational context should be. It also means accepting that this process of adaptation requires time and effort. Fitting in with the professional teams the spaces of laboratory, experimentation and joint creation are fundamental to advance. As you must have imagined with the tone of this article, we are in a process of change. 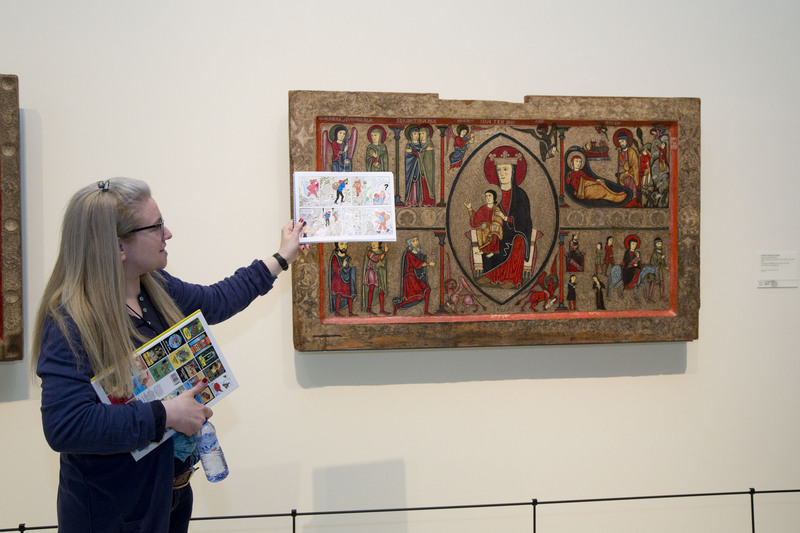 This year, within the framework of the educational programme for schools, we are trying to turn round the traditional way of approaching Romanesque art. We are experimenting with other ways of making the galleries foster research, the elaboration of hypotheses, dialogue, simulation and cooperative learning. This first action is defined in the educational proposal Let’s explore the Romanesque. An approach to the medieval world based on contemporary values, which we have set in motion this year. For the past year and based on the experience with the project Tàndem, we have been training our team of educators in the methodology of the Visual Thinking Strategies (VTS), so as to count on a tool that helps us to listen to all the voices, create debate, foster the critical spirit and awaken the curiosity based on the references and interests of each visitor. This other way of looking we have incorporated this course in the activities Get excited (from 6 to 8 years old, from 8 to 10 years old and from 10 to 12 years old) and in the new family programme. 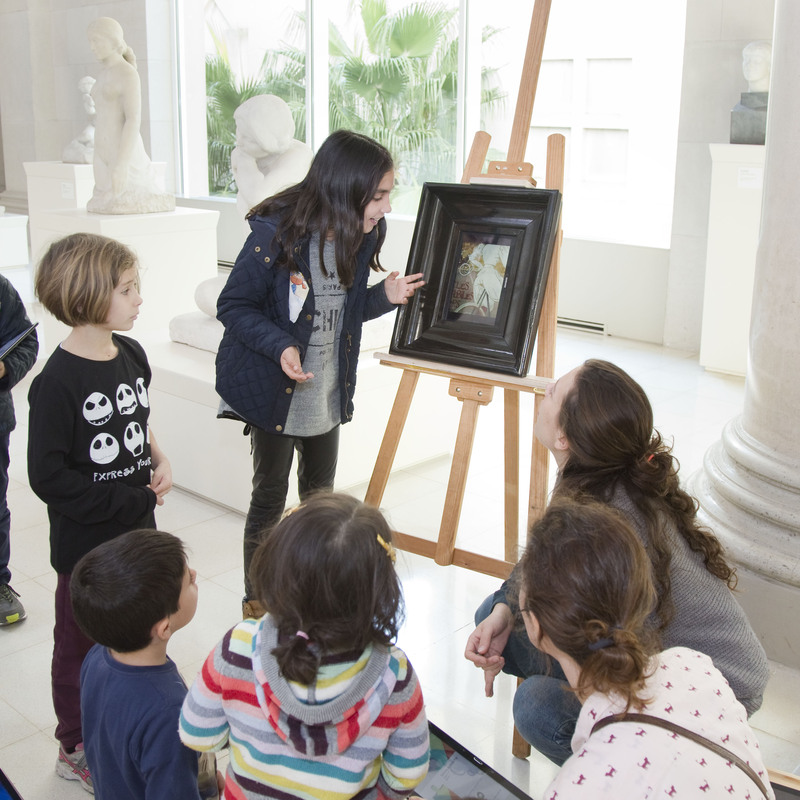 To approach this methodology to the teachers we have offered training courses that started this summer in collaboration with the Museu Picasso and the ICE (Institute of Sciences of Education) of the UAB (Autonomous University of Barcelona). We will shortly be opening a practice seminar for teachers who have already done the first level. Furthermore, we will be continuing collaborating with Programa Universitari per a la Gent Gran (The University Programme for the Elderly) of the Fundació Pere Tarrés. Along the same lines, this year we will be starting to explore with the Department of Education and within the framework of the Education Plan for Adults, the possibility of creating a language learning programme through art adapted to the needs of this segment. The contemporary artists and their way of interpellating the collection from the EducArt Space with artists such as this year Pep Vidal and from the institutes Programme Creators in Residence, they will continue to be top level educational agents about which we which we will be working for another year. Good work and a good start to the course! What’s an artist like you doing in a school like this?